I'm a reality-T.V. junky. If I have two hours and you have two or more episodes of some crazy people who allow cameras to follow them around, then I'm probably going to be a loyal follower. The Bachelor, the Real Housewives, Love & HipHop, Say Yes to the Dress - you name it, I've probably watched it. 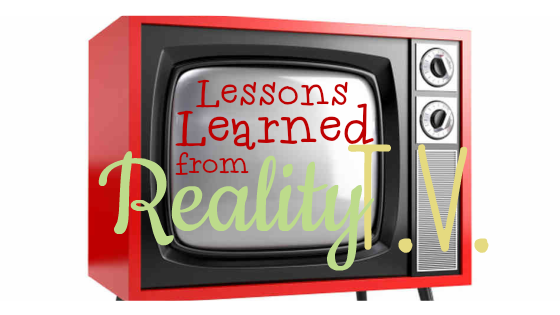 After years of watching what some may call, "trash television" I've learned a few things (yes, I actually learned something from reality T.V., don't be too shocked). You Can Never Have Enough Lip Gloss. The Real Housewives do it, the brides and the Biggest Losers are covering their pouts, and one of the Kardashians (or should I say Jenners) even has her own line. I'm talking about lipstick, lipgloss, lip stains, and the bounty of lip products that seem to be necessary if you're on the bright side of the camera. I realize that most of these women wear a lot of makeup, but when they are on camera there is a constant reapplying that happens that's almost laughable. I'm not one to carry around a makeup bag in my purse - I have a lot of friends that do this, there's no judgment here - I'm just personally not used to the need to always reach in my purse to add something to my face. It's like a security blanket of sorts to a lot of said women. Just watch one episode of the Real Housewives of (fill-in-the-blank) Reunion and you'll see exactly what I'm talking about. Be Careful of What You Say about Others. It amazes me that the actors stars of reality T.V. seem to always be shocked when they're caught in a compromising position because of something they said to a fellow castmate. If the old-fashioned game of Telephone taught us anything in grade school, it should have been that when you say things about others they almost inevitably get back to them in an even more distorted and exaggerated fashion. And if you allow yourself to say those things on camera, well then, you probably deserve some retribution. There's been a lot of press lately about the participants of The Biggest Loser who won the game show and later put all (or most of) the weight back on. Well, no kidding - no one actually lives on an exercise ranch where Oreos and chocolate cake are only brought in for challenge purposes. Exercising five times a day is not normal, or even possible in the real world. After time at the Ranch contestants return home where the cameras no longer hold them accountable, where true life happens, where experts don't yell in their face trying to get them to lift an extra five pounds. They return to a 9-5 where vending machines and indifference surround them daily. Even the most disciplined person would not be equipped for that drastic change in living situations. And with marriage, the statistic is through the roof regarding the amount of couples that end their marriage after appearing on reality T.V. Putting your marital problems on national T.V. doesn't seem to be a way of saving your marriage. In fact, a marriage will almost certainly crumble under the pressure of such exploitation. No amount of money or T.V. time can replace true, genuine friendships. I've seen countless amounts of women (and some men), join the casts of a reality T.V. show and quickly befriend another castmate claiming they're best friends. 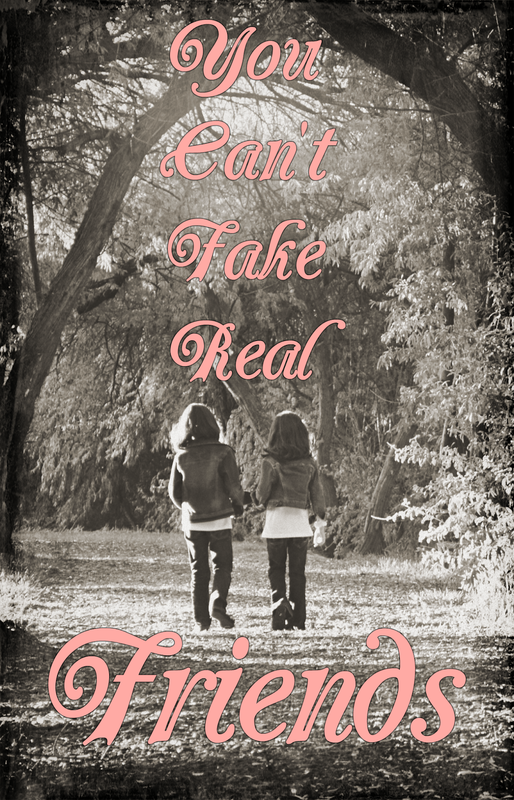 I truly hope this is the case, but more often than not, something trivial turns that friendship sour quickly and it becomes a T.V. spectacle. I would assume that there are some real friendships on reality T.V. but I personally would never assume that you'll meet your new bestie on the newest Bravo show. Reality T.V. is NOT Reality - They Have Help! I feel like this one is the most obvious but needs the most explanation. It's like looking at a beautiful woman on a magazine cover she's stunning. After consulting with hair and makeup experts, a professional stylist, and a team of photographers trained in taking gorgeous pictures of gorgeous people, she is still likely heavily retouched before the magazine ever makes it to newsstands. What you see on the magazine cover is not reality and neither are the "perfect" lives/homes/wardrobes... of reality T.V. stars. The women have glam squads who make them over and PR companies sending them free clothing to be worn on television. They have nannies and maids and cooks - they are not Superwoman. And they are NOT the standard. All-in-all reality T.V. is great for entertainment purposes but probably not the best example of normal human behavior (obviously). What are your favorite reality T.V. shows?